Experience: Mr. Phillips is an enthusiastic property management professional with over 12 years of experience in all aspects of commercial and residential property management and construction management. Prior to starting GNO, Robert worked as a property manager for one of the top management companies in Atlanta, GA. Robert managed 18 communities, representing approximately 6,000 residents in condominiums, town homes, and single family homeowner’s associations. From 1994 to 1999, Robert was involved in commercial construction and home renovation. 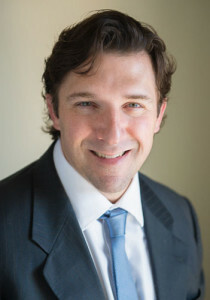 With his background in both construction and property management, Robert is capable of assessing and meeting the needs of an association, whether it is maintenance, capital improvements, or solving property owner disputes. Mr. Phillips will attend association meetings, prepare bids and proposals for association projects and maintenance, provide personal advice to Board Members and residents, and will be responsive to association needs. Experience: Mr. Phillips has practiced law for 34 years, specializing in oil and gas, land management, taxation and corporate development and implementation of long-range planning. Mr. Phillips is actively involved in the management of a number of closely held corporations which have real estate holdings. He is capable of advising associations when dealing with legal proceedings and planning for their long-term future as an ongoing concern. Experience: Mr. Phillips provides professional management for a number of closely- held corporations which have real estate holdings. Nat has experience in all facets of real estate including commercial development and management, residential development, industrial leasing and management, and rural properties. Prior to his current investment and real estate work, Nat worked in bank management where he focused on commercial lending and regional expansion. Nat is capable of helping community associations plan and budget for their future improvements in a wise and timely manner, and will oversee all accounting related matters.